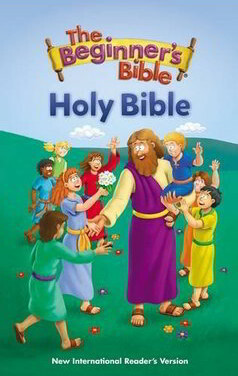 The Beginner’s Bible, Holy Bible, NIrV is an easy-to-read, large-print Bible for kids that features 20 colour illustrations and includes the complete New International Reader’s Version (NIrV) of the Bible translated especially for kids just learning to read. Features brand new vibrant, three-dimensional art. – Presentation page so you can make this Bible your own. – Large print is easy to read. – 20 full-colour pages of The Beginner’s Bible illustrations help you better understand the stories. – 66 book introductions and outlines explain who wrote each book of the Bible and what you will discover as you read. – Dictionary of key Bible words will help you when you come to a word you don’t know. – Reading plan of 150 famous Bible stories will give you a great overview of God’s Word. – Brand new vibrant, three-dimensional art.